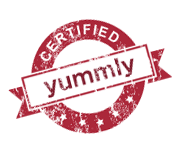 One of our favorite FFWD recipes – just delicious! 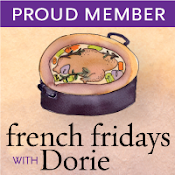 This week’s French Fridays with Dorie challenge is for Skate with Capers, Cornichons, and Brown Butter Sauce. Skate is actually a type of Stingray – but since we have never seen it around here, we thought the Brown Butter Sauce would be a great complement to Sole. And, since neither of us is very fond of Cornichons, we left them out. The result was a wonderful dish that we are sure to enjoy again. We think it would be great with a meatier fish, like Halibut, as well. It’s a great entree for a weeknight that’s quick to make and easy to enjoy! As things often go in our kitchen, we made mashed potatoes and garlic spinach. Then, just as John was finishing the sauce, I remembered these great spinach garlic mashed potatoes I’d had at The Yard House. So, I threw a handful of shredded cheddar cheese and a spoon of bacon bits into the potatoes and stirred in the garlic spinach and served it all together. It was wonderful and a perfect accompaniment to the fish and tangy sauce. Take a moment to enter our giveaway for 3 Bertolli Olive Oil Sprays! Your meal looks delicious and I agree that this sauce would be great with so many kinds of fish. And what a cute furball you have there. Every once in a while we think about adopting another one, but we’re both still travelling too much for work. We’ll see what next year brings. Your dish looks fabulous! 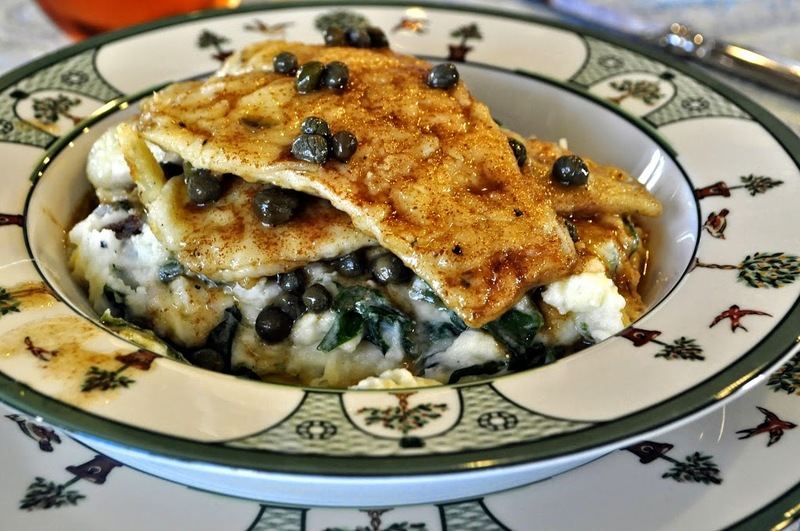 And your spinach mashed potatoes… those sound divine. I made mine with tilapia, and did add the cornichons, but would skip them next time. I agree, lovely easy dish. From where I’m sitting I think your spinach garlic mashed potatoes are probably yummier than my sauteed spinach and tomatoes. Man oh man, does that look good. Skate wings are more like sole in texture and not as fleshing as my Pacific cod but I do agree that the sauce needs a fleshier fish. 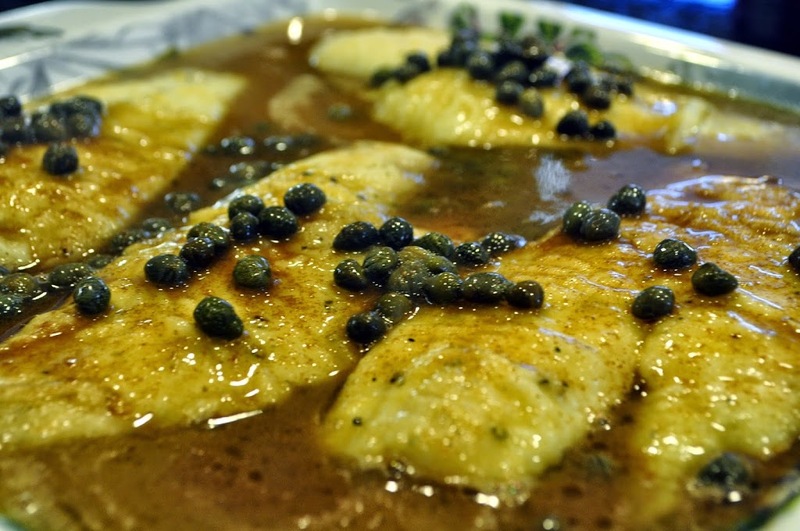 Sole seems so precious – I love it – but I thought this sauce was a little too bold, so to speak. Susan, have you two ever seen Skate Wings on the menu? We must track it down – it’s maybe an East Coast thing. Darling Meow. Your fish looks delicious. I really enjoyed this one too. 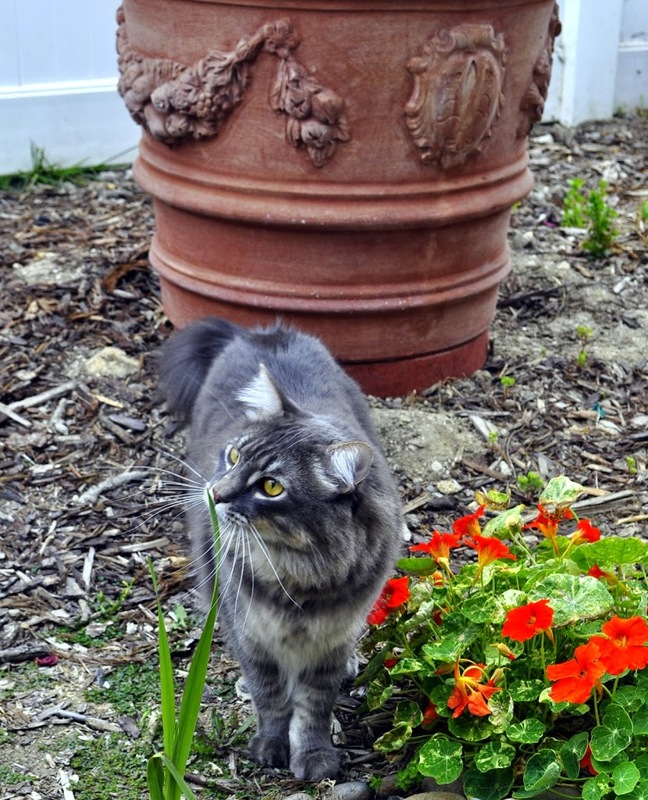 Tom Sawyer is gorgeous! Your meal looks delicious especially those mashed potatoes. Your dish looks wonderful, Susan! Sole was a good choice. And those mashed potatoes sound amazing! Tom Sawyer is adorable! Hope to meet him someday. This looks delicious – I’ll lhave to try it with the sole. I am sure the sole was delicious, but I am sure the potatoes stole the show. And Mr. Sawyer is a beauty.